Bita Shafipour is a multicultural, award-wining writer, director and producer based in Los Angeles. 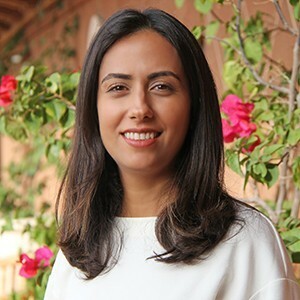 Born in Iran, Bita moved to LA in 2000 and worked for several production companies, including Paramount Pictures, Lionsgate Entertainment, and Sobini Films. She made her independent short narrative film THE COLOR OF FRIEND (2006) starring Homayoun Ershadi (ZERO DARK THIRTY, TASTE OF CHERRY) in Iran; it was premiered at LA Short Fest and nominated for Best Foreign Language Film at Miami Short Film Festival. Bita started her own production company, SOCIARTS Productions, producing socially conscious multi-media projects across Los Angeles with various artists and organizations including LA County Museum of Art (LACMA), the Craft and Folk Art Museum (CAFAM), and Walt Disney Concert Hall. She was the founding manager of Farhang Foundation Short Film Festival , today the largest film festival dedicated to Iranian short films. She is the co-producer of a feature documentary on Mowlana Jalaleddin Rumi directed by Aryana Farshad, shot on location in Iran, Afghanistan, Turkey, and the United States. Her latest narrative film LAST NIGHT IN EDINBURGH (2015) was shot in Scotland and was premiered at Palm Springs International ShortFest; it has been nominated for several awards. It won the BAFTA Scotland New Talent Award for Best Actress (Hannah Ord); Best Director Award at the Seattle Short Film Festival; Best Narrative Film Award at the Global Cinema Film Festival Boston; and the Vanya Exerjian: Empowering Women and Girls Award at Socially Relevant Film Festival NY. She is currently developing her feature film with her writing partner Chris Boyd and producer Mark Amin. Bita is a member of the British Academy of Film and Television Arts (BAFTA) and Film Independent in Los Angeles. She has taught Film Production Management at Edinburgh Napier University and is currently teaching Directing at UCLA Extension and USC’s School of Cinematic Arts. She holds a Bachelor of Arts from USC's School of Cinematic Arts and has a post-graduate certificate in Screenwriting from UCLA's School of Film and Theater.